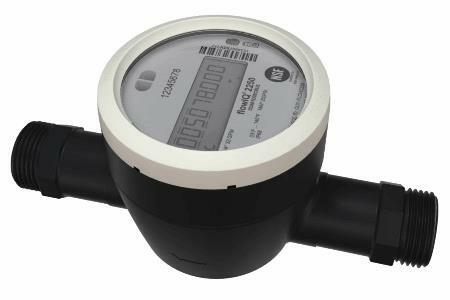 Atlanta, GA /PRNewswire/ - Kamstrup Water Metering is shaking up the water industry again, this time with their latest meter reading system. The new system, Kamstrup AMI, is an automated metering infrastructure that achieves a high reading performance with minimal hardware investment. Kamstrup AMI supplies hourly consumption data and analytics to water utilities, enabling water professionals to work more proactively with data. With data, water professionals can make informed decisions about budget planning, ways to enhance customer service and take charge in proactively repairing mains and pipes in the distribution network before they become catastrophic incidents. Some may say predictability is boring. However, in the water industry, we look for any tool that can make our daily work more predictable. Budget planning is made more predictable with Kamstrup AMI by offering a low total cost of ownership. One way this is accomplished is by Kamstrup's water meter having no external wires—the communication unit is housed inside the meter. This eliminates the risk of disconnected wires and unplanned maintenance costs down the road. Water professionals know the foundation for thriving communities starts with high-quality water and water-related services. Kamstrup AMI supports an increase in customer confidence for public drinking water by facilitating open communication between the utility and consumer. With more frequent data directly from your network, you will be able to handle customer service calls more efficiently because current and updated meter data is already available at your utility. Customers also benefit by having their data readily available with a consumer portal. With frequent data from an automated meter infrastructure, utilities are able to detect leaks in the water distribution network by making daily water balances and breaking down the volume of water that leaves the utility into smaller parts and comparing that with the actual consumption. With Kamstrup meters, smart meter data also includes water temperature to assess the risk of leaks related to frost damages so that you can prevent them from happening. "We developed Kamstrup AMI to challenge the status quo of existing meter reading systems," says Lars Bo Kristensen, Senior Vice President, North America with Kamstrup. "With Kamstrup AMI, water utilities gain the benefits of more frequent data with the added confidence of being backed by our global company with decades of experience with fixed network solutions." Kamstrup is a world-leading supplier of intelligent energy and water metering solutions. Kamstrup serves energy and water companies, utilities and the submetering business with innovative metering solutions for electricity, heat, cooling and water. Kamstrup is 100% owned by the Danish energy company, OK. Every day, our employees located in 24 countries help utilities save energy, develop more efficient ways of working, and identify new opportunities for future growth. www.kamstrup.com.